I think it’s a nice wardrobe. Not everything in the world is epic and that’s ok! Very pretty clothes! I am very fond of the teal dress! Uhm, and clicking on the colored thumbnail takes you to some formal gowns that I can’t remember seeing before. Are they supposed to be up yet? The link below works correctly though. Err… no. Man I have been making many code mistakes this week. Third time’s the charm Rachel! Now it links to the black and white version! Thinking words I can’t share on the internet…. Should be fixed now. Have fun wherever it is your going tomorrow! Very nice clothing. Not everything has to be special and dramatic. And the colors are great! One thing that puzzles me is the gray background on the doll & clothing pages. That is a distraction for me and I’ve wanted to ask about that for some time now. Care to tell us why? Years ago, I read a piece by Kwei-lin Lum, who draws paper dolls as well. She wrote that paper dolls should be beautiful when they are cut out, but equally beautiful before they are cut out. This really struck me. 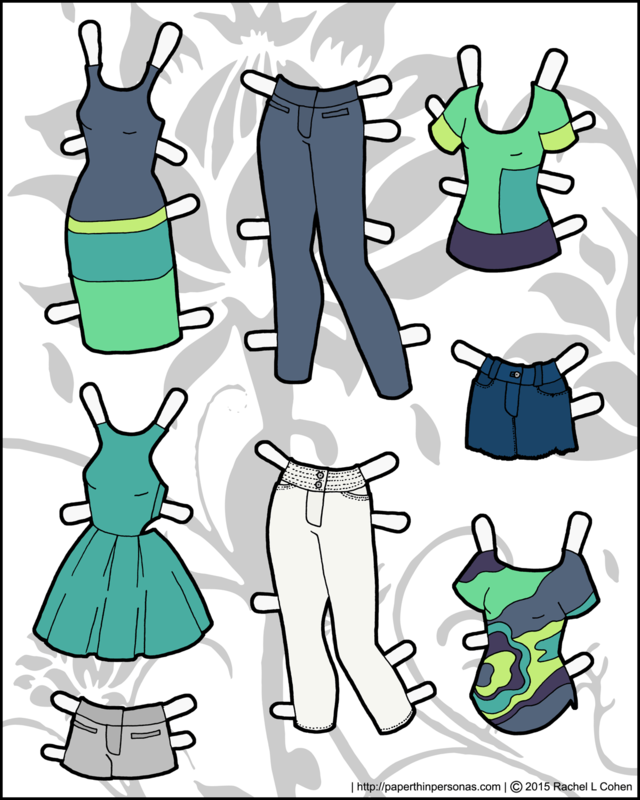 I want to create paper doll pages that I think are attractive before they are cut out and attractive after they are cut out. 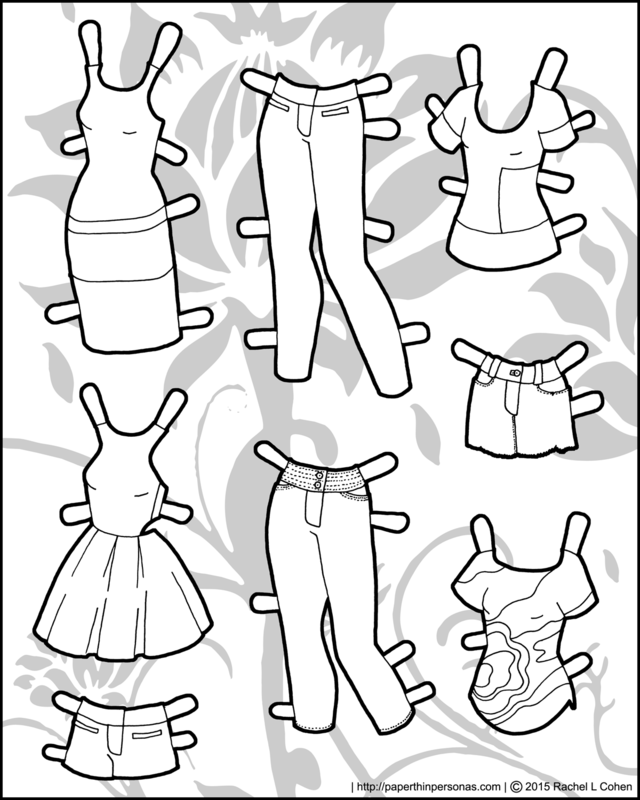 Essentially, I think the paper doll sheet is not just a “holding pen” for clothing, but rather a piece of art by itself. Putting in a background (some of which I think work better than others) is a way of trying to treat the sheet as a single work worthy of respect as a cohesive whole. This is also why I try to create consistent color schemes for my sets. So, that’s the short version of a much longer ramble I could do on my artistic philosophy (and I feel like a pretentious git even writing the words ‘artistic philosophy’).